A natural oil extracted from the seed kernels of the neem tree. 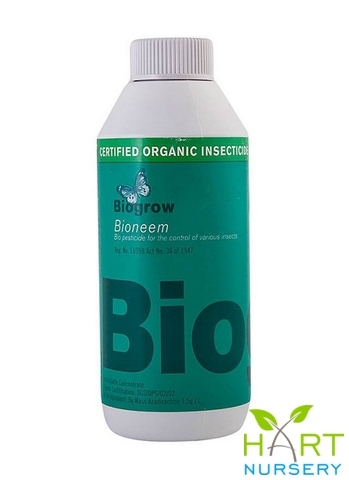 The active ingredient acts as an insect repellent, anti-feedant and growth regulator. It will disrupt the normal metabolic activity of insects. Best sprayed preventatively. Suitable for indoor and outdoor use.